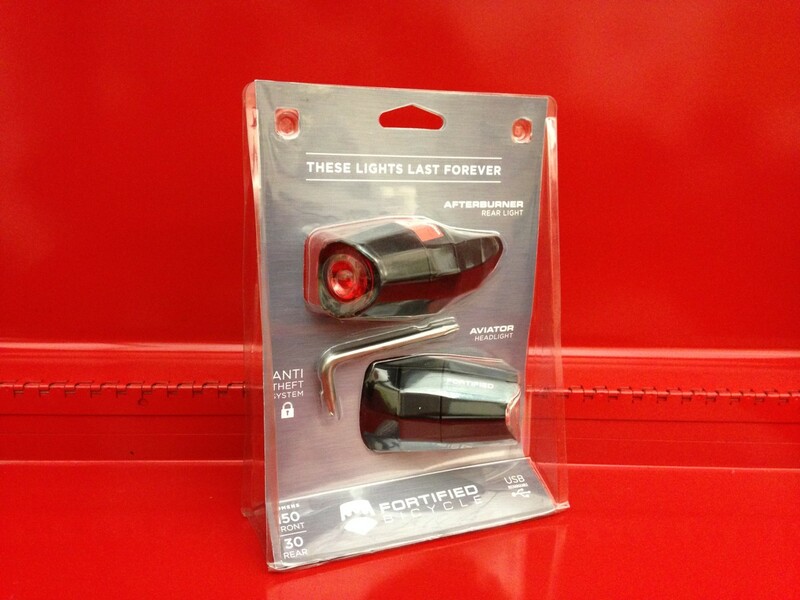 I was a little skeptical when we first brought the Fortified lights into our bike shop. “Theft-proof lights are just not a thing,” was my first thought. But over the last few months, I’ve changed my tune. These lights are USB rechargeable and bright enough for my needs. One of the things that is a bother for me about some of the other lights in this price range is how bright they can be. 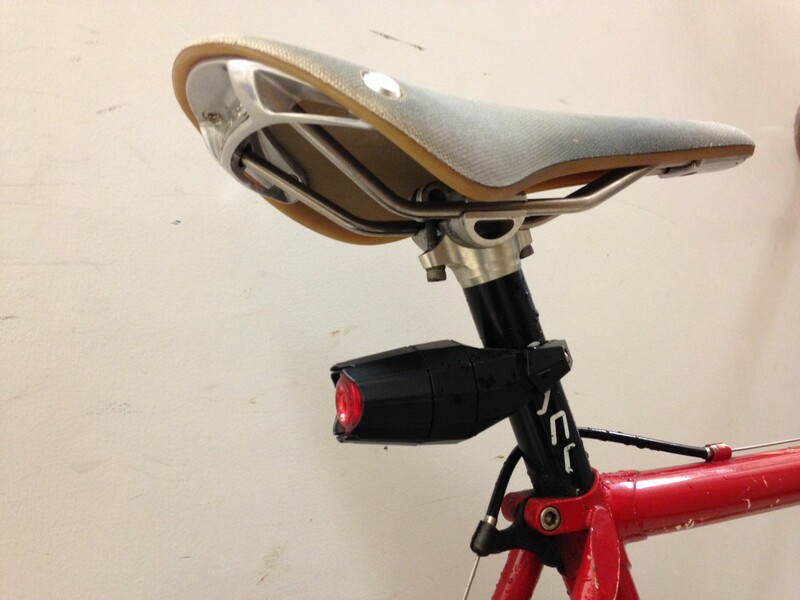 No one likes being blinded by other cyclists while riding at night. 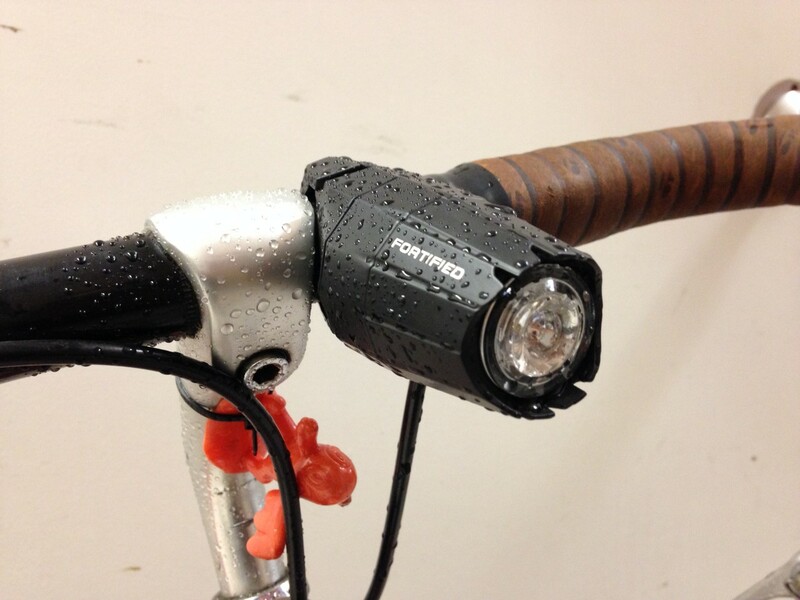 The front light puts out a respectable 100 lumens. On dark nights in the winter, I feel safe riding on my commute knowing that I can be seen by other road users and I feel good about having a light that doesn’t impale the retinas of other road users while still allowing me to be seen. These lights have a respectable battery life, however, one of the downsides is light cut out when not sufficiently charged. I would like to see a safe mode when power is low so that one can at least have some flashing light for that last few miles. So far, this has only been a problem once and I put myself on a battery recharge schedule since then. I have a forty five minute commute to and from work and I charge these batteries once a week. The lights don’t seem to dim throughout the battery cycle, which is nice, but could also have led me to not notice their need to be charged. The initial installation of these lights was easy. Fortified has a great video for customers to use that walks you through installation in a step-by-step process, making it accessible to all. Over all, I’m satisfied with this product. I like that I don’t have to take my lights off of my bike and take them with me when I lock up. I’m satisfied with the overall battery life of the product and these lights meet my needs for lumen output. On a ten point gold star scale, I rate this product a seven out of ten stars, but only because of the low battery cut out and no safe mode for a low battery.